Angola: This country in southern Africa gained its independence from Portugal in 1975. 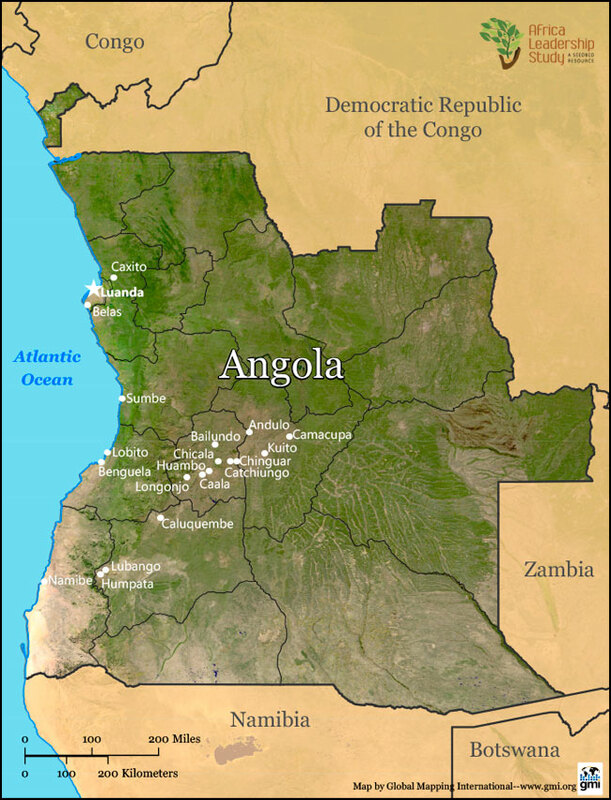 At 1,246,620 square kilometers, Angola is more than thirteen times the size of Portugal, twice the size of France. Its current population of 25 million has a life expectancy of 54, an adult literacy rate of 70%, and is 44% urban. While over 30 languages are spoken (http://www.ethnologue.com/country/AO), Portuguese is the lingua franca for most. Ninety-three percent of Angolans identify as Christian (50% of Angolans are Roman Catholic), and 1% as Muslim. The ALS carried out survey research in each of the towns and cities shown on this map. See information regarding the specifics of the ALS study in this country by clicking on the green more button.